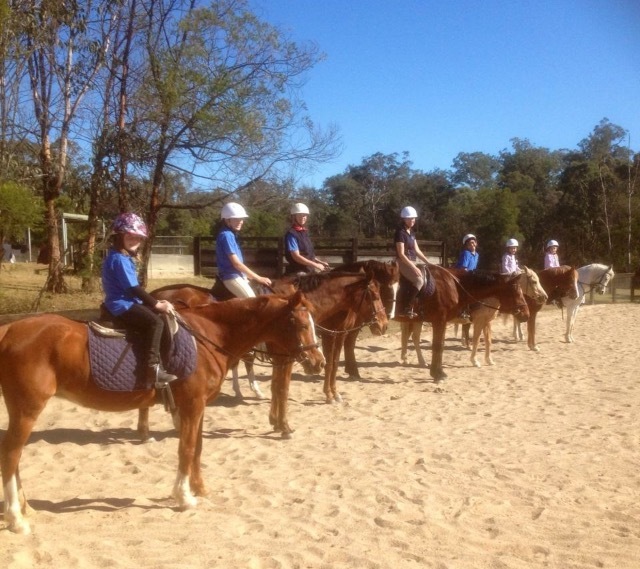 School holidays are a great time to immerse yourself in horses! 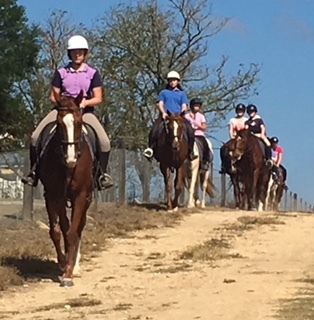 We offer regular lessons from 6 AM until 9 PM, both group and private lessons. 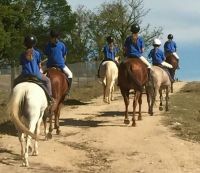 We also offer day camps and half day camps. 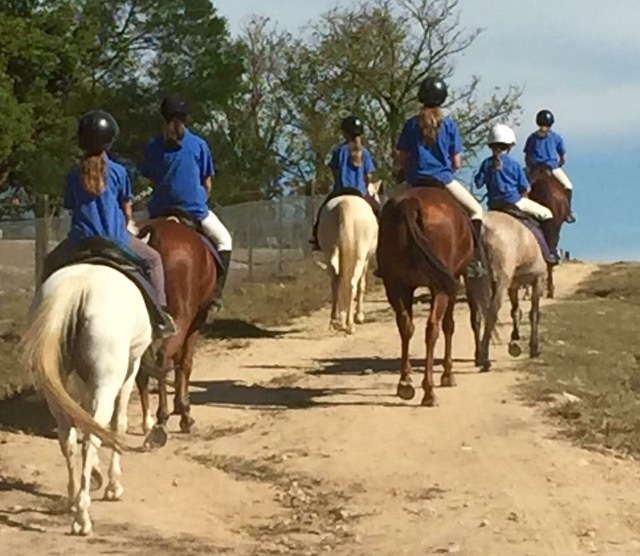 Half day camps run for four hours, and are suited to ALL levels of riders. Adults and children are most welcome... And so are nervous beginners. Ages 5 and up. 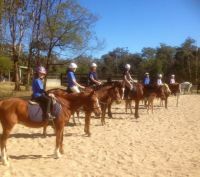 Full day camps are suited to those that have had regular lessons here at Tathren or have attended a day camp here before. 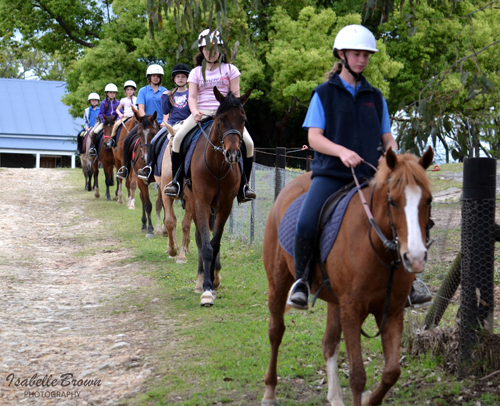 Adults and children are most welcome, and we cater for riders of an intermediate level and upwards. Ages 7 and up. You are also most welcome to bring your own horse. 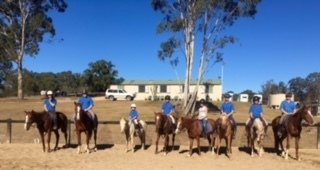 We are the only riding school in Sydney that offers day camp pupils their "own" horse for the whole day!! 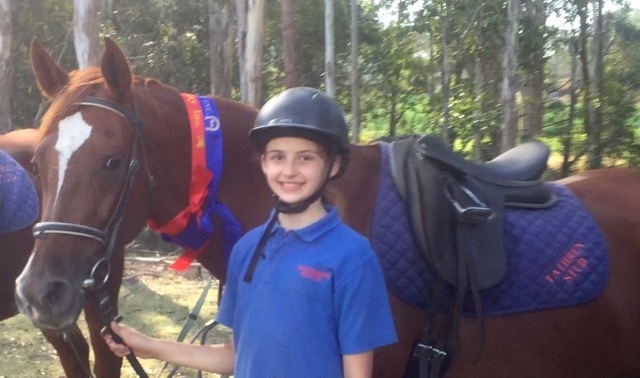 There is no waiting to ride, no sharing and no frustration at not getting enough hours in the saddle. Full day camps run from 9am to 4pm. 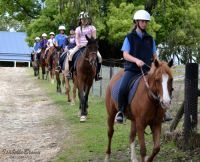 Cost is $175 and includes morning tea and lunch. Half day camps run for four hours. Cost $120 per rider and includes morning or afternoon tea sunscreen and drinks. 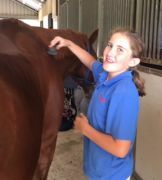 Horse nutrition and correct feeding of horses of all ages. Saddle and bridle maintenance and correct fitting. Bookings are essential and can only be secured with full payment.